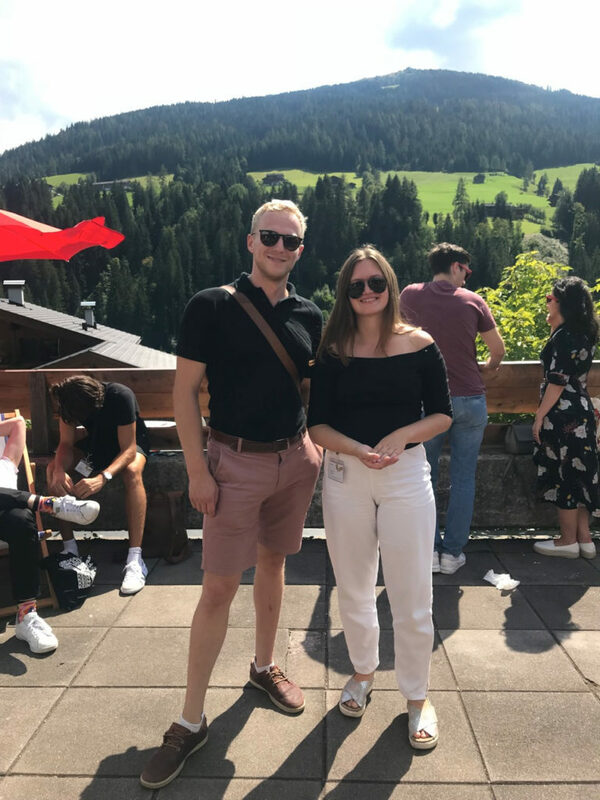 This blog post shares experiences of the scholarship holders Oliver Heinonen and Annina Lattu from this year’s European Forum Alpbach as well as some of the most intriguing nuggets of the global dynamics discussed at the forum. This year the forum’s theme was "Diversity & Resilience". From a perspective of a Finn, European Forum Alpbach could be described as a mix of World Economic Forum and SuomiAreena, topped off with world’s best researchers, put together and taken to Tyrol. European Forum Alpbach is an international platform fostering dialogue in the fields of science, business and culture. Every year around 3000 people gather in Tyrol, 700 young scholarship holders among them. This was the first year Finnish foundations Kaute Foundation and The Finnish Cultural Foundation collaborated with European Forum Alpbach funding two scholarship holders to the Forum. The Forum consists of a seminar week and several symposia representing the following global fields: health, politics, economics, finance, law and technology. When talking about EFA, one should not forget art, Austrian traditional clothing and hiking. This year’s program included for example numerous hikes around the mountains, meditation, and spoken word poetry. The magnitude of the risk of losing this planet was estimated by Anders Sandberg, a high impact risk researcher, read: a mass destruction researcher, from the University of Oxford Future of Humanity Institute. According to his statement during a fireside talk, the probability of human extinction during the following century exceeds 12 % – and the most likely causes are nuclear war or complex systemic risks – for now. The ultimate challenges revolve around power and its abuse. According to Sandberg, we might want to diminish the power of human reign as AI develops: let humans set the world goal function, while technology would be used in maximizing the value of the function. Of course, this will not guarantee equality, but it could help us avoid human extinction. Meanwhile, before we’re there, we should try to make the whole planet understand the problems and their possible solutions. Scholarship holders Oliver Heinonen and Annina Lattu at EFA. ”Data is the new oil” and ”data is a security risk”; the dynamics caused by data was vocally present the Forum. Liisa Välikangas from Hanken School of Economics described how data has changed management practices: we are living on the age of quantum leadership, where more data than ever is available and at the same time, yet we are witnessing more uncertainty than ever. New data-driven opportunities and risks as well as the future action plans were on the menu of EFA. From the legal aspect, the GDPR implemented in 2018 was in many discussions seen as a great regulatory effort from EU to address data-related security risks. Antitrust issues and helplessness regarding the big techies was palpable. At the moment the European way of dealing with data security seems to be like the Zuckerberg’s European Parliament appearance: determined yet awkward and mostly insignificant in effect. Based on our experiences at the Forum, European approach on data seems to be much risk and security focused; trusting on regulation, compared to the US approach which trusts markets even when fighting against a complex phenomenon like media bias. According to Professor Anya Schiffrin from Columbia University the current several initiatives around the world from multiple stakeholders have yet a very modest impact on the false news and distribution of disinformation. Schiffrin saw increasing cash flow from the consumers as the most prominent short-term solution for avoiding disinformation and enforcing transparent quality journalism. But still, from the world’s perspective, were missing some of the most important data. We both were struck by the similarity of the problems both consumers and investors face when trying to be sustainable: they do not know the real effects of their choices. To begin with, customers do not know what externalities their purchases really cause. For an example, it is generally known that the ever-expanding palm oil plantations cause loss of rainforest in Borneo. Still, no individual consumer really understands how much rainforest one destroys annually, nor what were the individual purchases with palm oil. It would be possible to provide this information through Earth Systems models, and thus help consumers make their decisions based on their values. The same goes for investment. Impact investment, which takes into account the social and environmental performance alongside the financial one, also suffers from the lack of information about the real effect of investment opportunities. According to Elizabeth Corley, Senior Advisor at Allianz, a majority of investors do let their values affect their decisions, but they cannot reliably see more than the financial effect. For impact investment to become mainstream, the whole value chain of investment needs to be made visible and provide a holistic view of the involved stakeholders. Even though European Forum Alpbach has grown into a global meeting place of academics and professionals and discusses global issues, European perspective, especially integration issues, were a vocally present theme at the Forum. One of this year’s Forum’s most significant panels was regarding EU enlargement. The Serbian President Aleksandar Vučić, Kosovo’s President Hashim Thaçi and the Slovenian President Borut Pahor participated in a discussion, where they publicly committed to strive for a border deal. According to Johannes Hahn, the commissioner for EU enlargement, who also took part on the panel, Kosovo and Serbia solving the conflict is a necessary condition for further enlargement negotiations. Time and again EFA’s power was said to be laying on its attendees, and by mid-Forum we could no longer refrain from agreeing wholeheartedly. 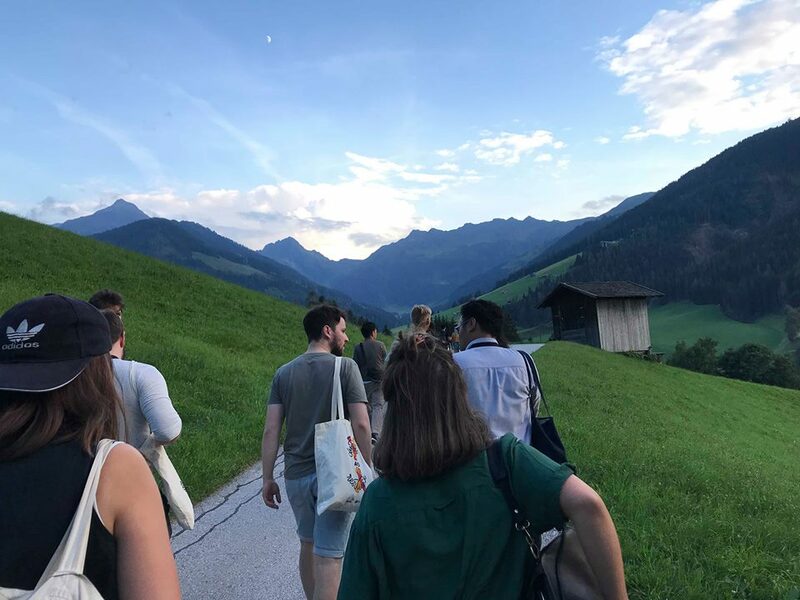 Taking people together to Tyrolean mountains, whether presidents or scholarship holders, seems to create an unusual atmosphere, where the exchange of eye-opening and perspective shifting conversations feels natural or at least easier than on your usual seminar. One of these memorable moments for us was the Ukrainian Independence day celebration on 24th of August, reminding about the meaning of independency and of the ongoing war these days less represented by the global medias. Global institutions are still needed today, and platforms like European Forum Alpbach can remind us that 50 years of peace is a luxury worth nurturing.